The Philippines Department of Science and Technology (DOST) has launched two new 3D printing research: the Additive Manufacturing Research Laboratory (AMREL) and the Additive Manufacturing Center (AMCen). DOST established the facilities in order to aid the Philippines in developing its additive manufacturing industry and overtake other countries implementing AM within the Association of Southeast Asian Nations (ASEAN). DOST hopes 3D printing will help boost the Philippines’ aerospace, defense, biomedical, healthcare and automotive industries. The AMREL, a 3D printing research facility equipped with the latest additive manufacturing machines, was inaugurated by DOST Secretary Fortunato de la Peña and other DOST officials at the Bataan Peninsula State University. 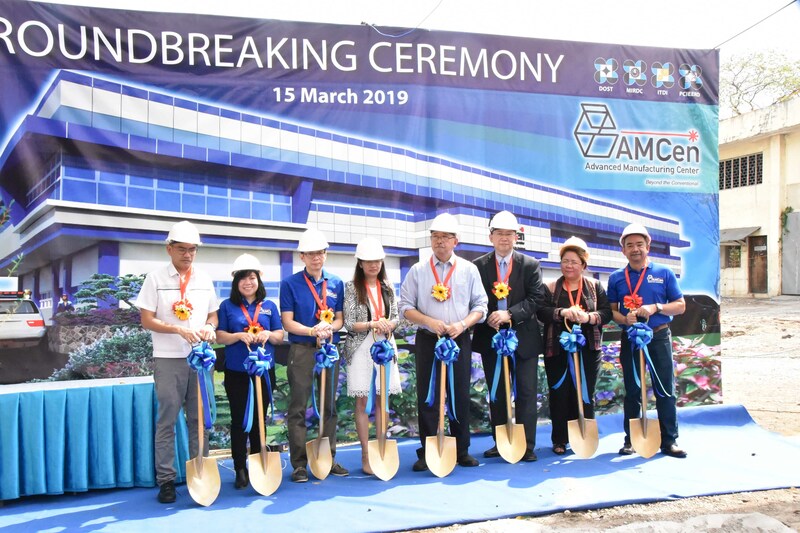 De la Peña also led the ceremony for opening of the AMCen at the Metals Industry Research and Development Center in Bicutan, Taguig City. The AMCen, which DOST first revealed in February 2019, aspires to innovate 3D printing technologies, processes, and materials for the region. DOST-PCIEERD Project Managers pose for a photo with AMREL Project Leader Prof. John Ryan Dizon (fourth from the right). Photo via DOST. AMREL is the first additive manufacturing research laboratory in the Philippines, and has been used by Bataan Peninsula State University students since July 2, 2018 to conduct research for their theses on the applications of 3D printing. Following its inauguration, the AMREL facility will now be used for developing, testing and characterizing new materials; sharing ideas between faculty and students; rapid prototyping, tooling and manufacturing; and designing and analysis of parts and systems in the additive manufacturing industry. The AMCen, on the other hand, contains two facilities to spur interest in additive manufacturing research: the Multiple Materials Platform for Additive Manufacturing (MATDEV), and the Research on Advanced Prototyping for Product Innovation and Development using Additive Manufacturing Technologies (RAPPID-ADMATEC). 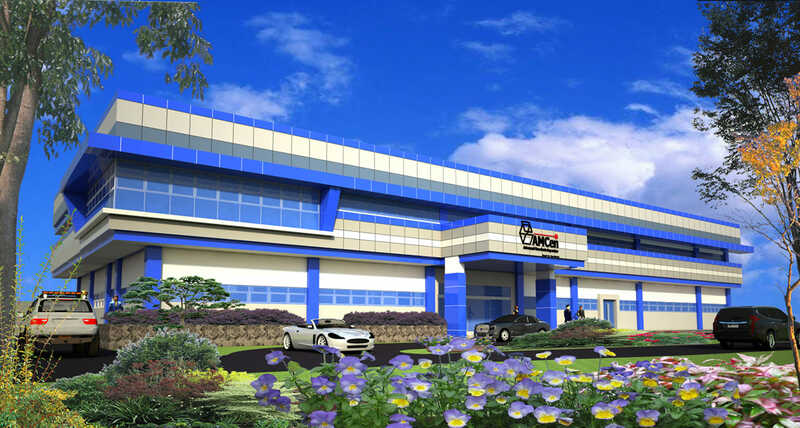 MATDEV is a laboratory-scale facility for the design, development, and testing of new materials for additive manufacturing, and will be managed by the DOST Industrial Technology Development Institute (DOST-ITDI). RAPPID-ADMATEC focuses on advanced prototyping, providing technologies to speed up the prototyping process by reducing the time it takes to fabricate components and products. The DOST Metals Industry Research and Development Center (DOST-MIRDC) will lead the management of RAPPID-ADMATEC. The proposed Additive Manufacturing Center building design. Image via DOST. The facilities established by DOST comes as a response to the development of the additive manufacturing industries in other ASEAN countries, like Singapore, Thailand, Indonesia and Malaysia. For example, the Malaysian Investment Development Authority (MIDA), a government agency specializing in the manufacturing sector, has collaborated with GKN Aerospace, a British aerospace supplier, to open an aerospace-engine research and repair facility in Johor. The new site has a focus on the application of 3D printing in repair and research. Over in Singapore, the Maritime and Port Authority of Singapore has initiated a Joint Industry Program (JIP) which seeks to accelerate the country’s application of additive manufacturing in the maritime industry. The Indonesian government has also launched an Industry 4.0 roadmap, Making Indonesia 4.0. President of Indonesia Joko Widodo is optimistic about the opportunities and jobs that Industry 4.0 will bring about, whilst emphasising the need for any potential economic growth to benefit all members of society. DOST officials at the AMCen ceremony. Photo via DOST. Featured image shows proposed Additive Manufacturing Center building design. Image via DOST.